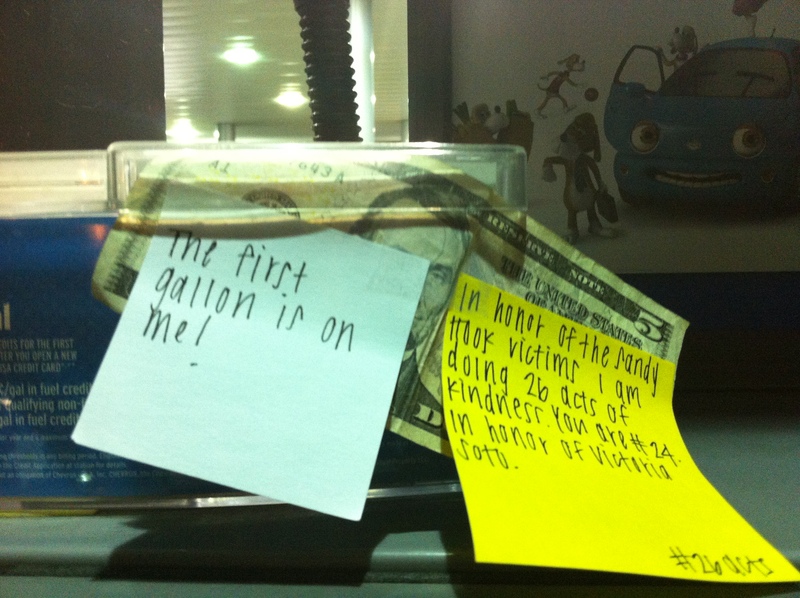 Random act number 24 was to leave $5 on the pump at the gas station. This was in honor of Victoria Soto, a young teacher who died trying to save her students. You know how every now and then when something terrible like this happens, you sometimes find one person in that event that really touches you, maybe because you identify with them a little more than the others? Well, Victoria was that person to me in this tragedy. I don’t know what it is, but I found myself drawn to her story in all of the news reports. There is now even talk about naming a new elementary school after her!